The National Institute on Deafness and Other Communication Disorders has awarded a $814,703, five-year grant to Purdue University through the National Institutes of Health’s flagship training program, the Ruth L. Kirschstein National Research Service Award Institutional Research Training Grant. The “Interdisciplinary Training Program in Auditory Neuroscience” grant will fund a training program at the intersection of auditory neuroscience and innovative technologies, such as neuroimaging, stimulation devices, electrophysiology and mathematical modeling. Graduate students will be recruited from five different graduate programs within the colleges of Science, Engineering and Health and Human Sciences, and from the Graduate School’s Interdisciplinary Life Science program. The training program is expected to help increase research synergies between life science and engineering on the West Lafayette campus. Four predoctoral students per year will receive tuition and stipend support, along with enhanced student coursework, training and research experiences in both animal models and humans. Ultimately, the training program is expected to prepare students for independent research that advances understanding of auditory system function using innovative tools and technologies, and that develops solutions, devices and strategies to assist and prevent hearing loss in human patients. 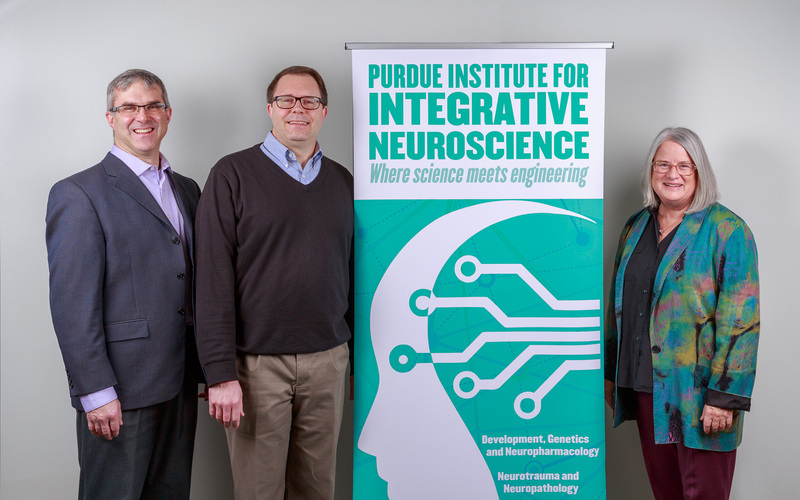 As the program’s co-directors, Donna Fekete, professor of biological sciences, and Michael Heinz, professor of speech, language and hearing sciences and professor of biomedical engineering, leveraged faculty expertise and resources associated with the Purdue Institute for Integrative Neuroscience in their application to NIH. As part of an effort by the Office of the Executive Vice President for Research and Partnerships to support faculty efforts in applying for NIH Institutional Training Grants, grant writer Patrick Hein also played a key role in preparing the proposal.